Get to know our special guests! 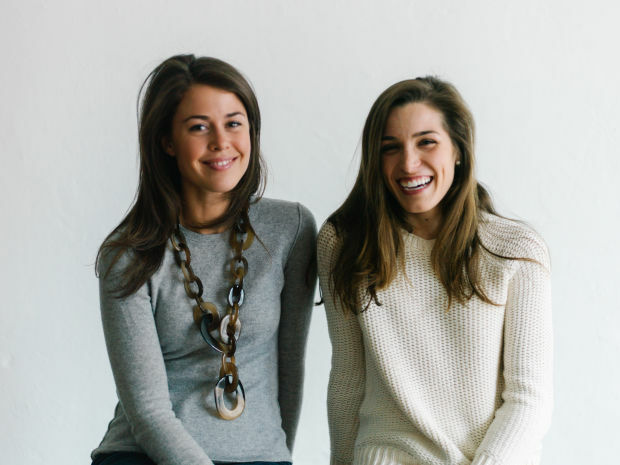 Sarah and Alexa: We're the co-founders of Margaux - a direct-to-consumer brand for the modern woman that launched in May 2015 with our signature product: a made-to-measure ballerina flat. We met when we were freshmen at Harvard, and were fast friends. We lived together sophomore through senior year, and began dreaming up the idea for Margaux during our final semester at school. In the months that followed we made several secret trips to New York, prototyping new product and bringing to life the idea for this elevated-yet-accessible digital brand. It was not, however, until the weeks just after graduation that we decided to share our dreams with our close friends, and ultimately forego our jobs in venture capital and consulting to found Margaux. When did you actually decide to go for it and start your business? S&A: It all hinges on the enormous leap of faith we took just after graduation in committing to starting Margaux. After that, we threw ourselves headlong into the entrepreneurial process - finding the experts, the factories, the investors, and the advisors we needed to build the brand we envisioned. Each milestone we've achieved as a company has been the product of the hard work and incredible focus of not just Alexa and I - but the wonderful team we've assembled over the course of the last year and a half. S&A: We fell in love with the name at the very beginning. We loved the combination of its femininity and strength - as well as the aesthetic of the M and the X which we use for our monogram. A: It’s hard to pick just one, but one of my favorite things about the job is the extraordinary people we get to work with every day. As for a least favorite thing - I have four unpacked suitcases waiting for me at home..
What’s something you wish you knew before you started the business? A: You’re never going to get what you don’t ask for! S: No means maybe; maybe means yes. With a little bit of persistence, anything is possible. A: Give yourself twice as much time as you think you need to see a project through from start to finish - With so many moving parts and suppliers, there will inevitably be delays and hiccups along the way. S: Be honest with yourself about how much you can take on - and learn to delegate sooner rather than later. Your team is there for you, and will step up the plate if given the opportunity. A: Watching our shoes walk down the runway a few weeks ago during New York Fashion Week! S: Launching Margaux just a year after graduation - and reading about it on Vogue.com! A: The Boys in the Boat - a particularly inspiring story as a former college athlete and very fast read. S: It’s not the last book I read, but Zero to One was a revelation - It completely transformed my perspective on building a business and an long-lasting brand. A: Barbuto (in the summer), for its neighborhood charm and unbeatable pasta. S: L’Artusi, where I have so many great memories of birthdays and milestones, celebrated over a heaping bowl of pasta (common theme?). A: I love to hike - To me there’s nothing better than an entire day spent outside. S: Does House of Cards count as a hobby? I sailed in college, so during the summers I take any chance I have to get back out on the water and race. A: You don’t have to be an expert in what you want to do - You just have to be willing to work hard enough to figure it out. S: And join us at the Synergist event on April 1! We’re excited to share Margaux with you.